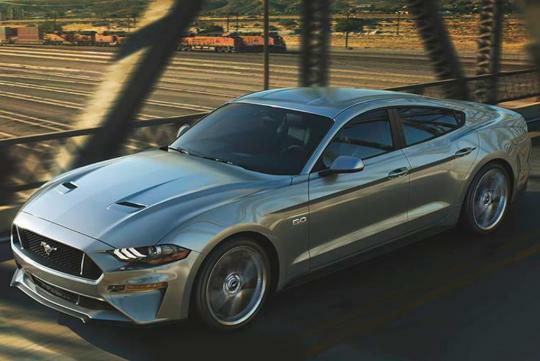 The latest and greatest rumor about the Ford Mustang speculates that the iconic pony car could soon gain a four-door-sedan variant. Ford shared vague plans for this new model at a dealer event last month. Although it's still entirely unsubstantiated by Ford at this point, this idea might not be quite as wild as it might seem. 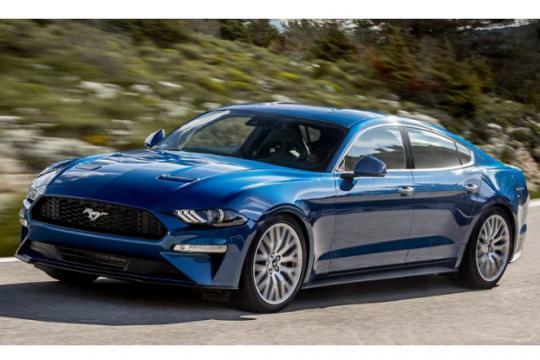 The thinking is that a longer-wheelbase version of the Mustang with four doors and a fastback-like shape could move upmarket to compete with the likes of the Audi A7 and the Porsche Panamera. While this sounds more like Lincoln territory, the Mustang brand might be strong enough on its own to support such premium aspirations—current versions already range well into the $50,000 to $60,000 range. The forum post states that a turbocharged V-8 engine will be offered, although we're not sure which engine that might be, given that no such configuration currently exists within the Ford lineup. A turbo version of the current Mustang's 5.0-liter Coyote V-8 is possible, but we haven't heard any rumblings about that otherwise. If such a vehicle were to come to fruition, the forum speculates, it would be distinct from a new Ford crossover, previously referred to as the Mach 1 but now expected to carry a different name, that's said to be inspired by the Mustang. That new model will be all electric and will have a taller profile. Other future additions to the Mustang lineup include a hybrid version for sometime in the near future and the high-performance GT500, which is expected to make its debut within the next few months. Ford spokesperson Jiyan Cadiz did not confirm or deny the rumor, but did say that "we are always on our game to keep Mustang exciting every year," which seems to stoke the fire. We'll update this story when we have more information to share.